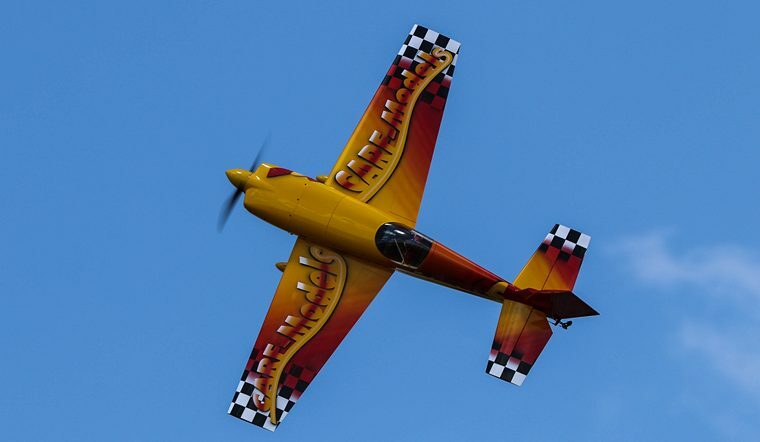 The Henley Model Airfield & Family Entertainment's 1st Gatskop Air Show Day south of Henley-on-Klip was organised to be a family fun day for all. Entertainment included radio controlled model aircraft and helicopter displays, live entertainment by well-known artists on stage, beer tent and helicopter flips. The weather was perfect for the Air Show with the wind that was on the main runway for most of the day. 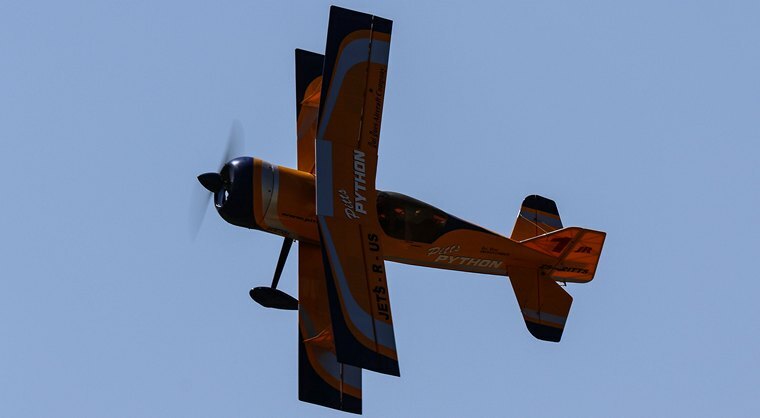 The visiting and local R/C pilots flew their allocated displays according to a strict air show program as it was an official Air Show with the whole day filled with entertainment for everyone's specific taste both on- and off the main runway. The pilots briefing was held after eight o' clock by the co-organiser Boet Denysschen to kick-off the Air Show program where the safety rules were explained by Bob Lloyd from Henley Model Airfield and the Commentator for the day was Bruce Judd. The day's program was there-after filled with various displays ranging from Large Scale, Scale War Birds, Pylon Racing, Sport Jets, Electric Scale, Helicopters and Gas Turbine Gliders. A Standard Pylon Racer, Mustang P-51D, Oracle Pitts Special, Pitts Python, Scorpion Sport Jet and a large scale Cessna Skylane to name but a few, performed numerous times during the day. A crowd and R/C pilot's favourite was the Aston-Martin themed Gas Turbine Futura Model Sport Jet expertly flown by Davon Lambrecht. He is an SAA captain by profession. Technical details include the ABS brakes for the wheels that shorten stopping distances more efficiently on landing without locking. It won the price for the best looking model aircraft at the 2016 LOMAC Air Show earlier this year. Another crowd favourite with numerous trips during the day was Henley Air's other Bell Jet Ranger that took people for helicopter flips. 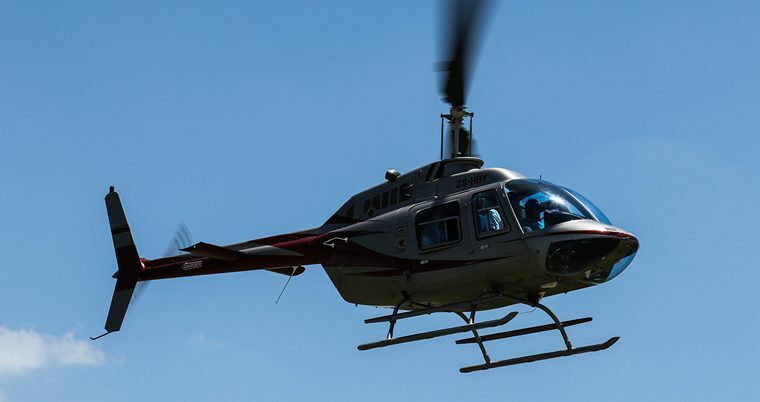 Passengers got real value for their money with the opportunity to fly in a long-time favourite helicopter at reasonable prices. 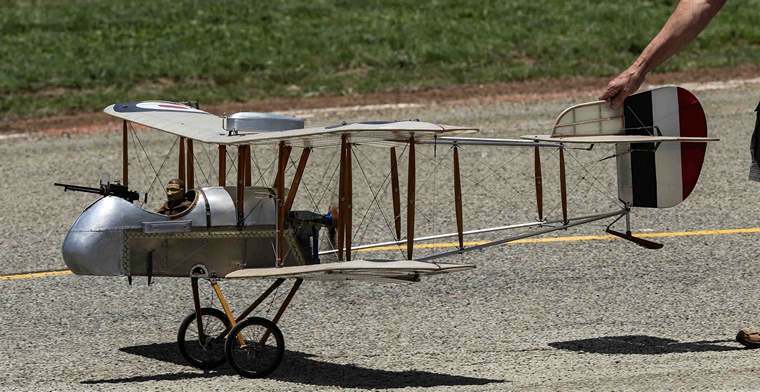 A rare scale World War One fighter aircraft with pusher propeller, rear-facing upside-down four-stroke engine as well as a unusual aircraft with a circle profile for a wing and a scale Piper Cub in military colours flown by Danie Potgieter in an entertaining-style. A Eurofighter Jet that has amazing slow flying capabilities was also flown during the day. Two Blanik Gas Turbine Gliders with a wing span of 4.2m each and 6kg KingTech turbines were flown and performs like real gas turbine jets. 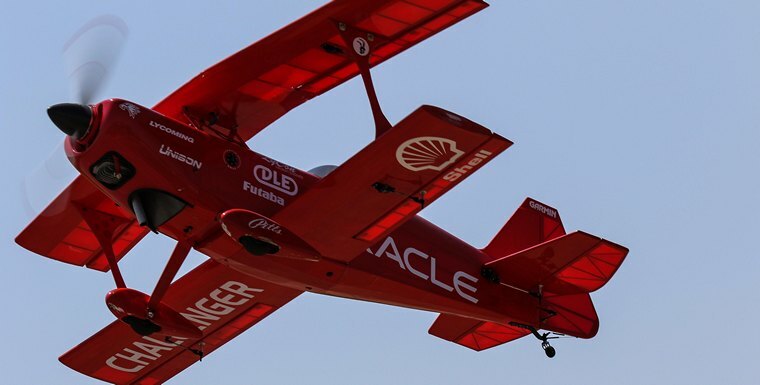 Fully aerobatic, fast and very agile for such big and long wingspan aircraft. A 1/3rd scale Composite ARF Extra 330SC with a GP 123cc two-stroke engine and wingspan of 2.6m, was expertly flown by Jacques Alberts. 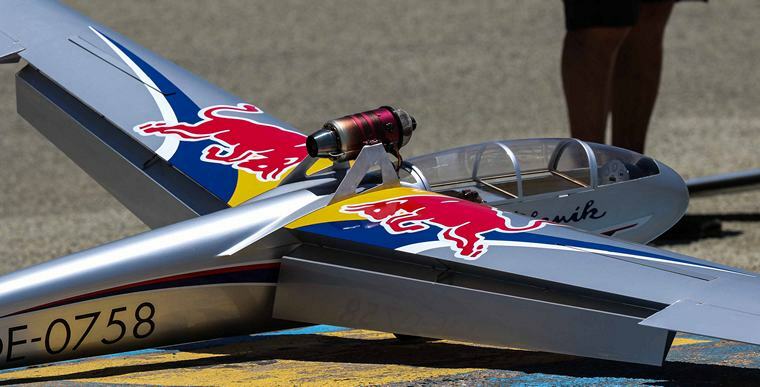 Knife-edges in straight lines and inverted power spins were breath-taking to say the least. The scale turbine helicopter display was also astonishing and the technology inside this helicopter is amazing. Henko Beyers flew the 1/5th scale Hughes 500E of Marius Vosloo. The detail to scale is incredible and as can be seen, hovering in front of the right background, it looks like the real McCoy. Another first for me was the Lockheed Martin F-22 Raptor model aircraft that was put through its paces during the afternoon display. With its stealth-looking design and appropriate colour-scheme it was amazing to see this scale gas turbine jet in flight. 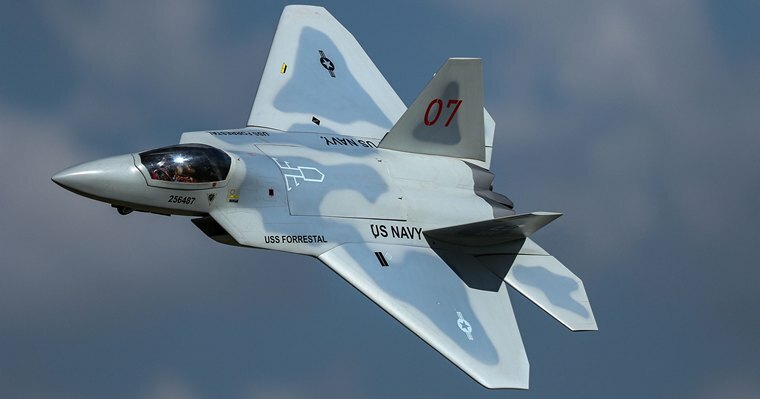 The Gatskop Air Show at Henley Model Airfield is a must on the R/C model aircraft annual air show calendar to attend. It was very well organised and executed. It will be an even bigger event next year. For more information, contact Marius Vosloo or Boet Denysschen @ Jets-R-Us.